Made from heavy-duty vinyl digitally printed with full-color vehicle graphics, wraps can turn your vehicle into a moving billboard and marketing opportunity for your business. Vehicle wraps, a somewhat new entrant to the outdoor advertising realm, are proving to be one of the most dynamic, powerful, and cost-effective advertising platforms today. Research indicates that mobile branding and advertising like vehicle wraps engage audiences more readily than more traditional forms of marketing. 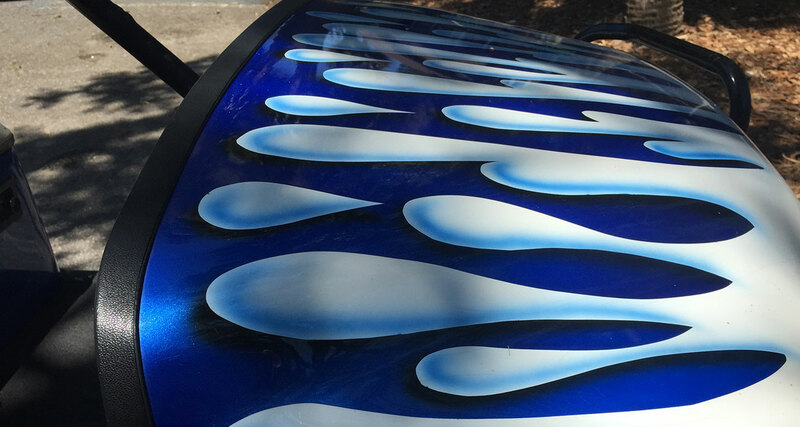 According to the Outdoor Advertising Association of America, vehicle wraps can reach up to 95 percent of the U.S. population making car, truck, bus, and boat, or golf cart graphics a good marketing investment. 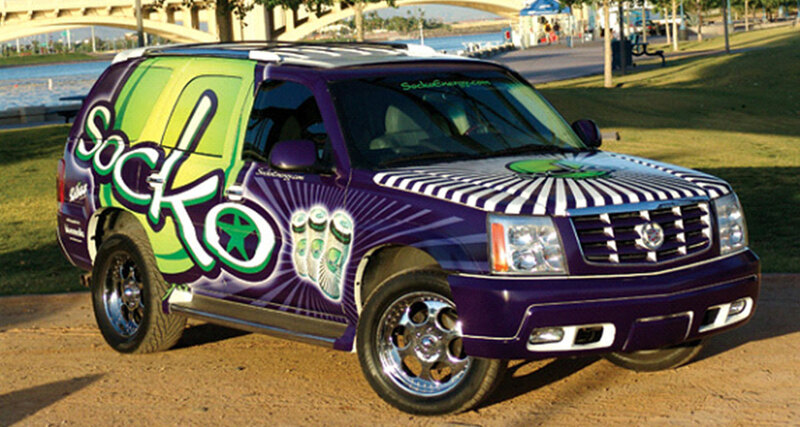 Vehicle wraps aren’t just for large companies or franchises with a fleet of vehicles. Industry experts say that small business owners think that wrapping their cars legitimizes their company by putting their brand and logo where it can be seen by customers whether that is when you drive around town or park at your office, house, or another retail location. Interested in Vehicle Graphics? Contact Us. Logging Miles. 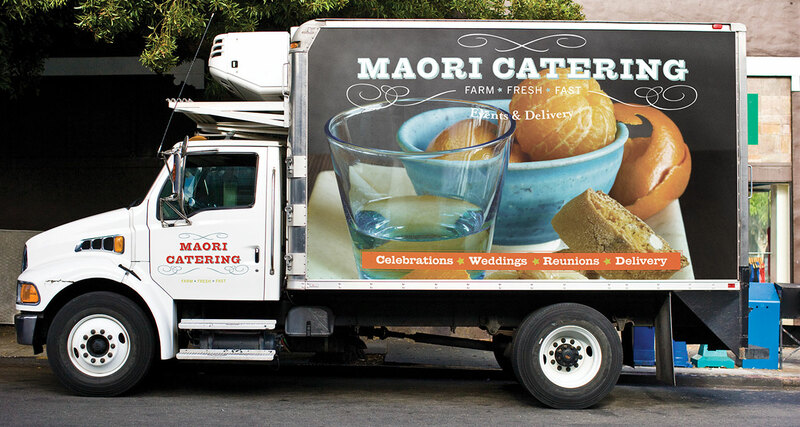 Study after study ranks fleet graphics as the most cost-effective and influential advertising method. According to the American Trucking Association, vehicle advertisements generate more than 600 visual impressions for every mile. And the Outdoor Advertising Association of America, found that fleet vehicle advertising boosts name recognition 15 times more than any other form of advertising with 80 percent of participants recalling certain aspects about vehicle wrap advertisements seen once and 91 percent recalling significant portions of vehicle wrap advertisements when viewed several times a week through normal commuting. Mass transit with a message for the masses. Bus graphics can be used by organizations or communities to gain name recognition, accelerate exposure, and increase awareness. Not just for landlubbers anymore. 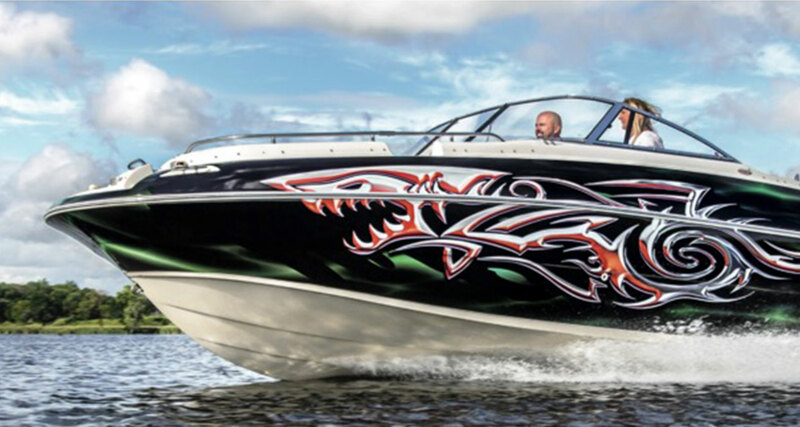 Vinyl wraps are an excellent opportunity to set you apart on the water. With advances in vinyl technology, wrapping your marine craft has become an effective and durable solution on the seas. Smaller in size, yet to the point. Wrapping your golf cart provides an effective way to market to a target audience or make a personal statement whether on the golf course, riding around the resort, or cruising through the neighborhood.